Here is the video that explains everything. Click play and then you can follow along as I explain the lesson! My name is Steve Schwarten and I teach US history to 8th graders @ Eastern Middle School in Silver Spring Maryland. I do not always have technology readily available, but this past year I was able to talk someone into letting me use the new Chromebooks and some laptops we have at my school for an extended period of time. I usually have to merge traditional pen and paper with the computers because we don't always have lots of computers available. We are also not allowed to let students use cell phones for any reason so I usually have to make do. I use gamification to teach social studies concepts through the use of Civilization IV. I also used to be a teacher that used traditional means of notes, etc in the past, but after attending the institute last year I was inspired to give up the reigns a little more and let the students produce some work and work at a pace picking their own papers they wanted to start with first. It was interesting to watch them work through things and was challenging at times for me to keep switching gears to help kid, but I had many students tell me they liked creating the dossier. I have kind of just waded into the waters of flipping the classroom, but I am liking the results so far. 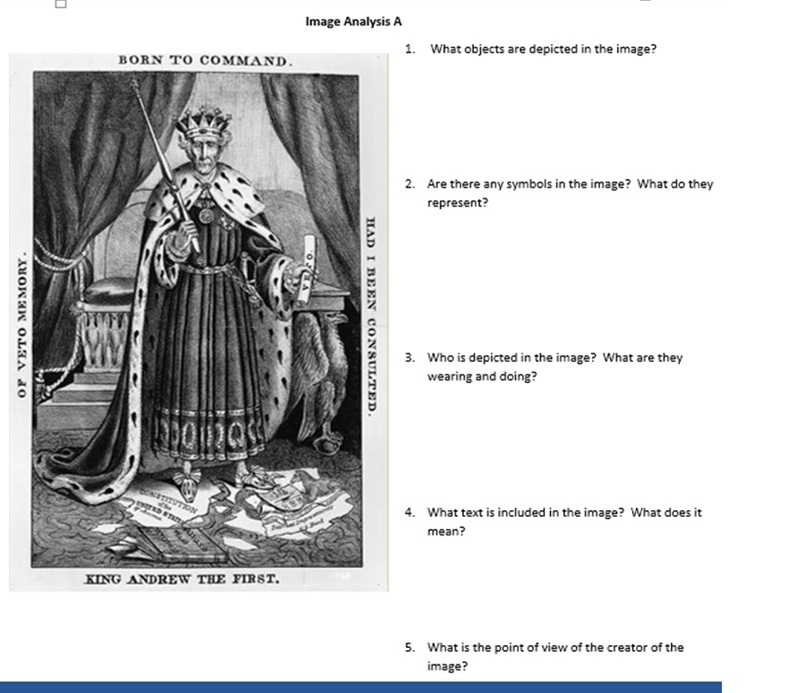 This project covered all of the material that on Jacksonian Democracy, helped kids understand their online footprint, and allowed them to learn how to blog for the first time. I was looking for a way to make this more appealing and to move away from my traditional reading assignments. This takes a while and I had to adjust based on how the kids were progressing, but I found I did have to keep them moving so there was a sense of urgency with them. We are going to act like FBI agents to create a dossier for the next few weeks on Andrew Jackson. A dossier is a file or collection of documents that help investigators understand a person. The FBI keeps files on many individuals and in today’s world the Internet keeps track of just about everything that you do. Think back to the video on how you are tracked basically from the moment you are born. Everyday new files are added to the imaginary folder that someone can use to figure you out. 8. 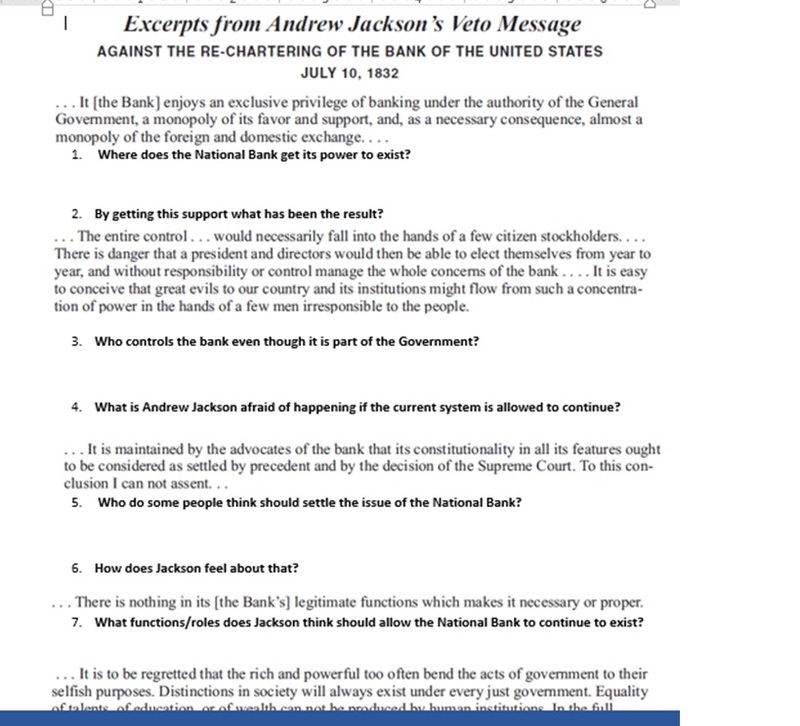 Andrew Jackson Notes and Andrew Jackson’s Veto Message on National Bank. 10. Understanding Native American Resistance: Pontiac during the French and Indian War. 15. Who is Andrew Jackson? Internet Search. 16. Who is Andrew Jackson? Textbook Search. 17. 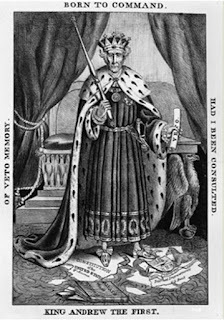 Facts that interested you about Andrew Jackson specifically. 1. This will be a student guided project to stimulate curiosity. 2. Each week will be laid out for you and you will be able to choose what topics you tackle first. 3. Mr. Schwarten will provide resources for you and some you will be expected to find on your own. 4. All materials will be kept in a dossier folder in the classroom like the FBI keeps theirs with Mr. Schwarten. You may bring in extra things. When I began I framed the project as them being FBI agents that were going to create a dossier on Andrew Jackson and they were supposed to answer the question: Who was Andrew Jackson? I had them keep all of their research in a manila dossier folder that we kept int he classroom as if we were the FBI. I also began the project by showing them the following video that stressed the importance of each student's online dossier. I then talked about the FBI and how they create dossier's on people who they are investigating and I then gave them all folders that they are to use to hold their materials. I did have many handouts for this project I broke each section down and put out the papers they were to use at the front of the classroom. They could choose which ones they wanted to use to begin and I let them meander through the research like a person in the FBI or historian would have. The first section was mostly readings with one video on Andrew Jackson's role in the War of 1812. I also allowed the students to work in their table groups. Some did the work together and some did it on their own. The students were to follow the rubric and when they were done with their section I would check it for correctness and talk with them about what they found,which helped me clear up misconceptions. One thing I did differently this time was instead of having the students listen to me lecture I had them listen to a lecture I recorded for them. They could pause, rewind, fast forward. This was very popular among students who often felt lost during my lectures and also helped them. Below is the sheet they used to take notes on this one and below that is the video. I also gave my students an activity that they had to use sentence frames when taking notes on this one. The final piece of the project after the materials were used to research everything was they had to make a blog about Andrew Jackson. This was my first time doing this and it was a little bumpy when we started. But in the end I ended up with pretty cool blogs. This was the basic outline for the blog posts after I did a walk through lesson on how to write on a blog and the ability of them finding their own voices. We also talked about cyber bullying and being respectful of people's opinions online. In our society the written word has become more democratic over time and today you can write a blog to tell the world your thoughts. For the final Andrew Jackson Dossier project piece we are going to write several blog posts that explain your findings. Directions: Use the Blog Format to write out your final report on Andrew Jackson. a. Why did some people like Andrew Jackson? b. Why did some people not like Andrew Jackson? 9. Find 5 pictures to include in the dossier that shows Andrew Jackson involved in different activities. Below are some links to some of my student's blogs. They did a good job and I was pretty loose on grading these because it was the first time I had ever done these things. But overall you can see by clicking on their blogs that they spent some time on completing them. We did end up running a little short on time because I had to give the chromebooks back because of testings so some of them didn't get to totally finish, but overall I was pleased with the outcome. Before I had attended the ANEW14 conference I would never have attempted to do this. I had been dabbling with using technology more in the classroom, but going to the conference helped give me the confidence to take the plunge. In the years past all of this material had been just readings I did on Andrew Jackson and I know that I probably would not have flipped all of this without the institute. Many of my students enjoyed doing this project and requested more projects like it. I think what the ANEW14 conference did for me was allow me to bounce idea's off other really competent people and help me grow. ANd when I had questions about blogging, I asked other people I had met who were doing on what their classroom procedures were so I could cover my self and make sure the kids were safe. Over all, my students felt they understood Jackson and Jacksonian democracy really well. They each put their own persepctive on things. Some saw Jackson as a racist, others told me he was a role model on leadership, and some saw him as an effective president. I even had one student tell me that she felt bad for John Quincy Adams because she felt he had been bullied by Jackson's cronies! This material can be really charged if taught in a open manner and many discussions were had about the merits of Andrew Jackson's legacy. Each student latched onto something that meant something to them and they enjoyed the project. I am thinking about doing this again, but I did get told my higher ups that I need to make sure my objectives are more measurable, since I had them be pretty loose while they were doing their work. If you have any questions don't hesistate to email throught he Ask Mr Schwarten feature on the site here or hit me up at MrSchwarten on twitter. I hope you all enjoyed the ANEW15 institute as much as I did last year!